We have written a lot of blogs and articles and even held a webinar discussing the importance of Search Engine Optimisation (SEO) for the success of your website. We’ve given you some great suggestions for how to optimise your website to ensure these results. Now that you have your head around SEO and have your major keywords all optimised, it’s time to take your results to the next level by optimising some niche keywords on other pages within your website. Basically, niche marketing is about identifying how you can segment your market further. It may be by different profiles of customers. For example: a bike shop may have kids bikes and adult bikes, or an accountant might be small business accounting and early retirement. You can also define niche markets by your product or service groupings. For example, the bike shop sells BMX bikes and specialist racing bikes, and the accountant offers a tax service, bookkeeping and financial advice. These are known as a niche markets. Can you give me an example of how this affects my SEO? Let’s look at the accountant further. They’ve already optimised their website for the key search terms “gold coast accountant”, but this is a very broad statement and there are thousands of other websites in the area that are also using the same search term. This means that there is high competition for this term which makes it harder to rank highly in the search engines. However, if the accountant begins optimising pages for their niche search terms (as covered above) on other pages as well, then they will start to take advantage of search terms that are more niche and therefore less competitive. This will allow their website to rank higher in the search engines for these terms, enabling their target market to find their service more easily. It also means that when their prospective clients come to their websites, they will also find pages that talk directly to them which will increase the results you get as well. Ok, I can identify a niche in my target group. What next? Profile your niche. Break down who this niche is, their needs, wants and wishes, fears and concerns, where you can find them in their greatest concentration and what you can offer them. Find your keywords. To do this you can ask your niche clients what words they’d use to find you, see what your competitors in this niche are using, and even use the Google Adwords Keyword Tool to identify similar terms that you could use. Build a page on your website dedicated to this niche group or service. Give it a page name and page title that is keyword rich, and place your keywords in the headings and sub-headings. Include pictures with keyword rich alt tags and ensure that the written content on your page directly targets this niche. Link this page from other pages within your website. Put those same keywords in the text link that goes to the page with the same name and headings to get the best results. The blog and social chat (with links back to this website page) about the new page using your niche keywords. 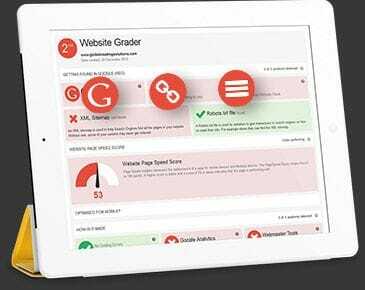 Measure your results (monitor the results in Google Analytics and Google Webmaster Tools). After the initial setup, you may need to tweak the page occasionally to start getting the results you’re wanting. We recommend that you test things for at least three months before you change them because it usually takes this long to start getting results. My business has several niche groups that are all really different. Help! These days a lot of businesses have gone the next step by having more than one website and targeting the different websites at different niches. This is because they know that while one website will appeal to one of their niches, it may turn the other off. It also removes the clutter and mixed messages that can occur when you have multiple products or services in the same area that target different clientele. Having multiple websites also assists you to stand out in the market as a specialist in a field which may serve to increase your sales conversions. A good example I’ve seen is an office supply company who decided to break out their online sales websites into a variety of product specific websites. The ROI was massive! One of their niche websites, Dymo Labellers, started selling in excess of $40,000 per month after three months of going live. Each of their websites specifically targeted the different niche markets. Their keyword selection is specific to what the market was searching for, and their content, images and key selling messages were different. It didn’t take long before their niche websites started excelling the sales of the group office product website. I really don’t know how to do SEO. Can you do it for me? Yes, so long as you own a Bloomtools website. Our SEO services cover everything that a responsible SEO provider will do including providing you with an initial report, keyword selection and optimisation, link building, and monthly reporting. If you would like more information about our SEO program, contact your Bloomtools consultant today.